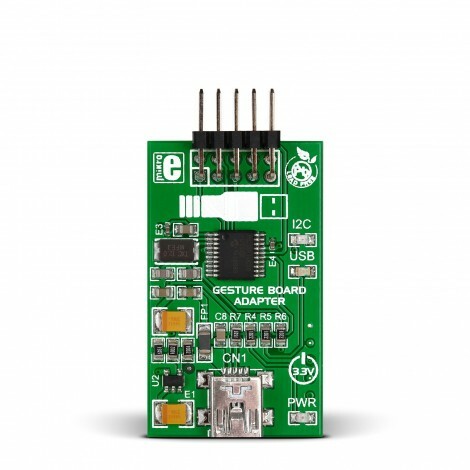 This I2C to USB adapter is specifically built for connecting our Gesture Board to a PC. This I2C to USB adapter is specifically built for connecting our Gesture Board to a PC, allowing you to explore the possibilities of Microchip's MGC3130 3D gesture recognition controller. The adapter is also available already paired with Gesture board. For that option, see Gesture Board PC kit on the Gesture Board product page.